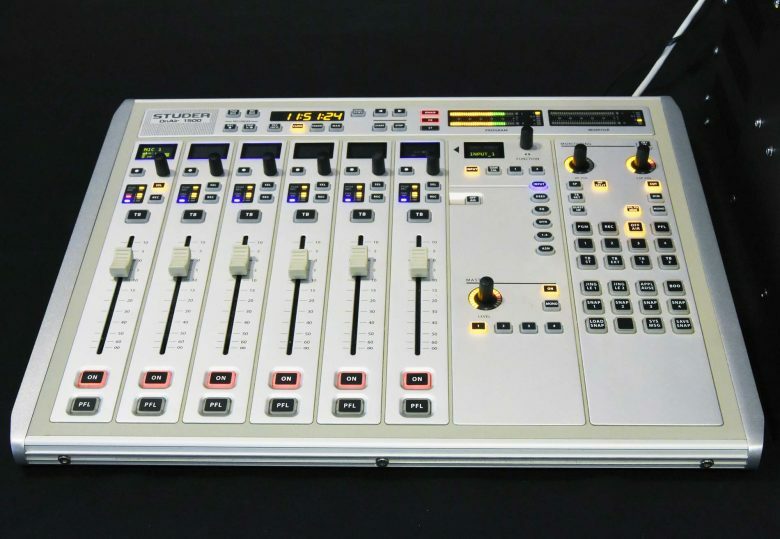 The OnAir 1500 – a 12-channel, 6-fader console (expandable to 12 faders), is designed as a flexible hybrid solution for radio broadcasting and production. It’s ideal for studios needing an additional professional grade fader unit and additional I/O or a compact and cost effective mixing console for a production room or studio. Integrated USB playback and record functions make the OnAir 1500 a very compact yet complete mixer. OLEDs (Organic LED) in fader strips and central module provide clearest displays. Ergonomic, easy-to-learn Touch ‘n’ Action™ user interface. With simple point-to-point connectivity, the OnAir 1500 can be easily moved around as a backup or secondary unit, with a recommended maximum distance of 60 m away from its core when connected via high-quality Cat5 cabling. 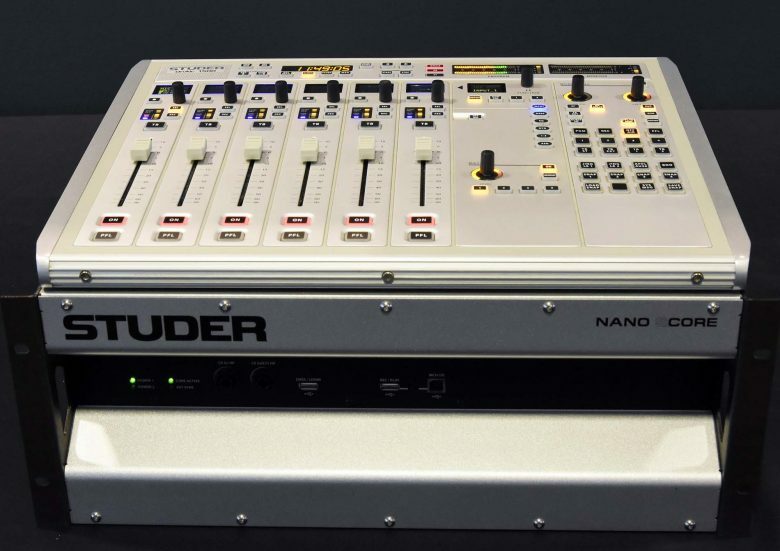 Flexibility is increased with addition of the 6-fader extension bay, creating either a 12 fader surface, or 6 faders can be remotely placed in a producer’s bay or used as a redundant surface. The system can bridge the gap between on-air and production needs, offering an all inclusive design of features and function to improve ease and efficiency of executing great programming in either setting, all of the time. Channel parameters such as EQ and dynamics can be comfortably edited using console controls in combination with the OLED channel displays without requiring an additional screen or PC. For more advanced operation, the console provides interfaces for connecting a PC screen, keyboard and mouse. The master section gives the operator simple yet comprehensive access to the signal monitoring and switching for control room and studio with an internal speaker preconfigured to output CUE and talkback signals. Audio monitoring is augmented by two 29 segment stereo bargraph PPMs providing constant overview of all important signals; 6 different meter standards available. Unique features such as Headphone Split allow the user to listen to two different sources, one through the left earpiece, the other through the right. Preset buttons also allow one-touch control of all monitoring. Additional monitoring for separate studios is available via an external Monitoring/ Talkback unit for added flexibility. The separate core of the OnAir 1500 contains the audio and control engine. Its straightforward design provides standard sockets making any additional breakout panel unnecessary. Two separate card slots can be equipped with any optional D21m I/O module, such as MADI (up to 64 ch in/56 ch out), ADAT, AES, or additional MIC inputs. The front panel carries three USB ports, one of which is used to identify the console operator. 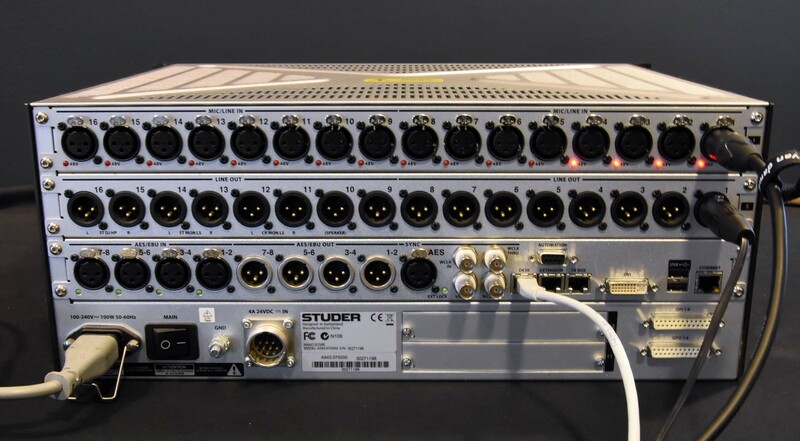 The second port can host a USB stick for recording and playout, while the third one can be switched to deliver an additional eight channels of I/O to/from a USB device. 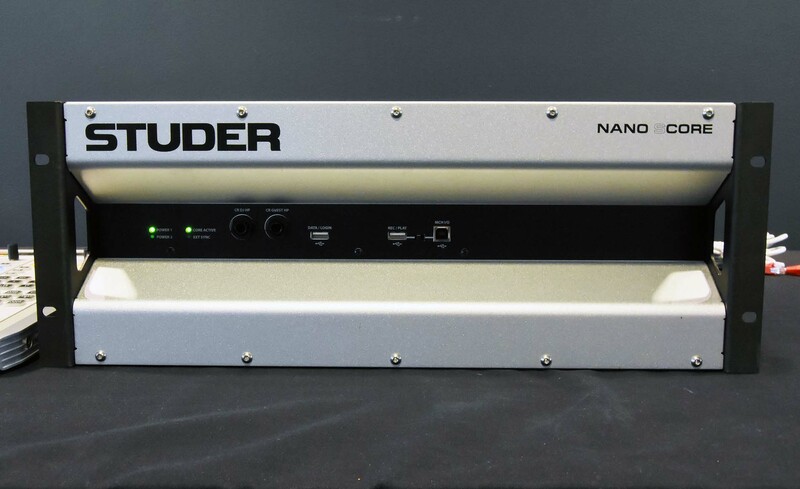 The NANO SCORE connects to the surface via one Cat5 cable, supplying power to the surface.